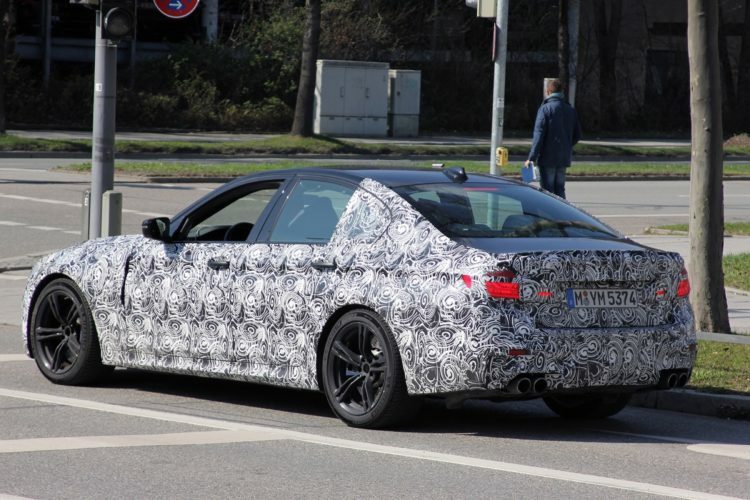 Yesterday, we saw some spy photos of the upcoming BMW F90 M5, one of the most exciting cars coming down BMW’s pipeline. The next-gen M5 will be one of the most interesting and exciting cars to come from BMW in some time, as it will make big changes for the M Division. There’s a lot happening and a lot changing for this M5 so let’s take a look at everything you need to know for the upcoming BMW M5. Okay, so technically, the BMW X5 M and X6 M were the first all-wheel drive BMW M cars ever. However, those are SUVs and this will be the first actual M car to power all four wheels. The reason behind this is that the upcoming M5 will likely be pushing over 600 hp and who knows how much torque. So BMW needs to give it all-wheel drive or it will just roast its rear tires to bits. Plus, with Audi having its RS6 and Mercedes-AMG switching its E63 to all-wheel drive, it only makes sense for BMW to do the same, or its going to lose out to its competitors in areas where winter climates can make rear-wheel drive performance cars tricky. When BMW first announced the specs and performance numbers for the upcoming BMW M550i, our jaws dropped. With only 456 hp and 480 lb-ft of torque, the M550i is faster than the previous-generation M5. And it’s not even a proper M car. Why is it faster? Simple — all-wheel drive. With xDrive all-wheel drive, the M550i is capable of 0-60 mph in 3.9 seconds. That’s stupid fast for a non-M car. So the BMW F90 M5, with more than 600 hp, and who knows how much torque, and all-wheel drive should be able to do it in the low three-second range. Watch out because the next M5 will be a land-missile. For the first time ever, a BMW M5 will be launched without the option of a manual transmission. The reason is simple — no one buys manuals anymore. BMW actually pulled the manual transmission option from the previous-gen M5, as no one was buying it. So, for this next-gen M5, BMW isn’t even bothering to offer a manual. This shouldn’t sadden enthusiasts, though, as such a powerful and techy all-wheel drive performance sedan is probably better off with an automatic. 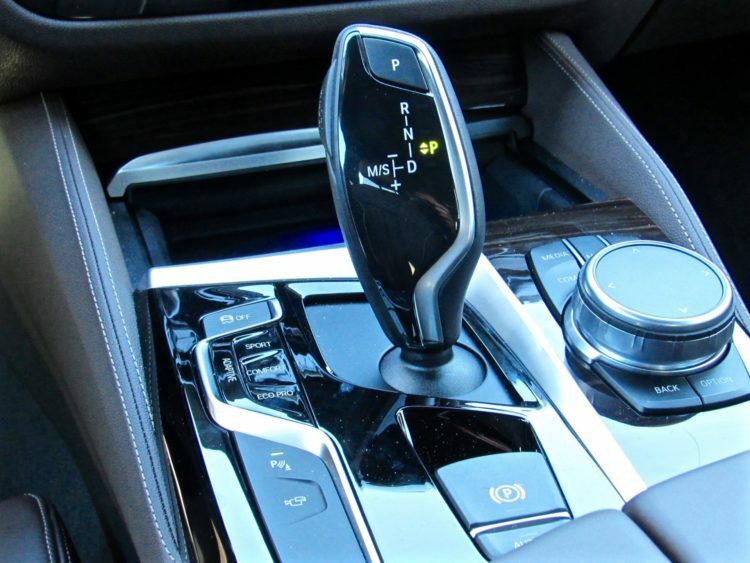 And when we say automatic, we don’t mean BMW M’s famous dual-clutch transmission. Nope, instead the next-gen M5 is getting the ubiquitous ZF-sourced eight-speed automatic. It’s the only transmission BMW has that can handle the torque and work with all-wheel drive. We’re hearing that the BMW F90 M5 will be making its debut at the Frankfurt Motor Show this coming September. While that is still a little over five months away, that’s really not that far off in the grand scheme of things. Plus, it makes sense for BMW to debut one of its most iconic nameplates in its home country and one of the biggest auto shows in the world. So as soon as the dust settles from the excitement of the BMW M550i, the new M5 will be here to shake things up again.